The Bowie Chamber of Commerce honored its members and celebrated the highlights of 2016 during its annual awards banquet Monday night. The event had a sports theme calling itself the MMXVII Business Bowl, one week away from the Super Bowl. Bowie High cheerleaders attended and brought some spirited cheers to open the night. 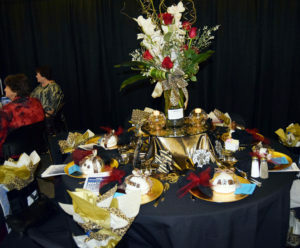 Bowie’s Community Center was filled with an array of beautiful tables decorated by chamber members. Advanced Rehabilitation was the first place winner for decorated table. Belle Rose was second, The Brick was third and H&R Block received honorable mention. A new award, the Build a Better Bowie award, went to Lynn Heller for his tireless efforts with the former Bowie Memorial Hospital. Mildred McCraw received the Frances Brite Citizen of the Year Award. 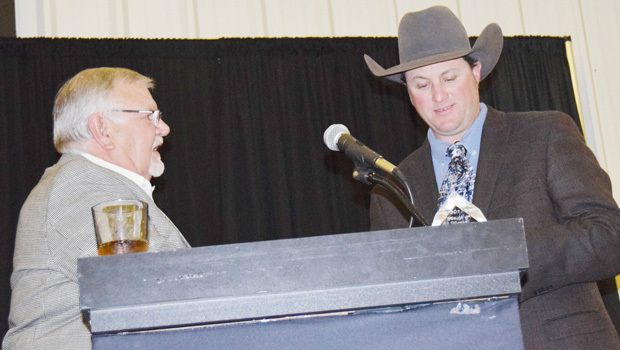 See a full report from the banquet in the mid-week News along with photos.